Dr. Minogue is an Associate Professor in the Department of Teacher Education and Learning Sciences where he teaches elementary science methods courses at both the undergraduate and graduate level. 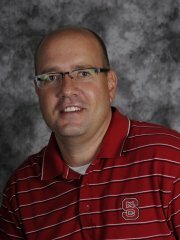 James Minogue is currently an Associate Professor of Science Education in the Department of Teacher Education & Learning Sciences at North Carolina State University (NSCU). Prior to joining NC State, James held a tenure-track position at The College of New Jersey (TCNJ). His current research efforts involve trying to better understanding haptic (touch) perception and cognition within the context of teaching and learning, exploring the efficacy of game-based learning environments (GBLEs) in elementary science, and examining how to best structure elementary teachers’ and students’ “conceptual encounters” with invisible science phenomena. He has eight years of experience teaching public school science and has been developing and teaching elementary science methods courses at the college level since the fall of 2005. Carrier, S.J. Whitehead, A.N., Minogue, J., & Kimble, R.S. (2018). Novice elementary teachers’ developing visions of effective science teaching. Research in Science Education (in press). Walkowiak, T. A., Minogue, J., Harrington, A. D., & Edgington, C. (2017). Re- envisioning the school day: Integrating mathematics, science, and reading through students’ engagement with practices. Journal of Interdisciplinary Teacher	Leadership,1,7-12. Adams, E. L., Carrier, S. J., Minogue, J., Porter, S. R., McEachin, A., Walkowiak, T. A., & Zulli, R. A. (2017). The development and validation of the Instructional Practices Log in Science: a measure of K-5 science instruction. International Journal of Science Education, 39, 335–357. Minogue, J., Borland, D., Russo, M., & Chen, S. T. (2016). Tracing the Development of a Haptically-enhanced Simulation for Teaching Phase Change. Proceedings of the 2016 Annual Symposium on Computer-Human Interaction in Play (p. 213-219). ACM, New York, NY, USA. Annetta, L., & Minogue, J. (Eds.). (2016). Connecting Science and Engineering Education Practices in Meaningful Ways: Building Bridges. The Netherlands, Springer. Minogue, J., & Borland, D. (2016). Investigating students’ ideas about buoyancy and the influence of haptic feedback. Journal of Science Education and Technology, 25, 187-202. Chen, S.T., Borland, D. Russo, M., Grady, R., & Minogue, J. (2014). ASPECT sinking and floating: an interactive playable simulation for teaching buoyancy concepts. Proceedings of CHI PLAY '14 the First ACM SIGCHI Annual Symposium on Computer-Human Interaction in Play (p. 327-330). ACM, New York, NY, USA. Chen, S.T., Borland, D. Russo, M., Grady, R., & Minogue, J. (2014). ASPECT: Sinking and floating, haptics for elementary school students. Proceedings of CHI PLAY '14 the First ACM SIGCHI Annual Symposium on Computer-Human Interaction in Play (p. 405-406). ACM, New York, NY, USA. Annetta, L.A., Lamb, R., Minogue, J., Holmes, S.Y., Folta, E., & Cheng, R. (2014). Safe science classrooms: Teacher training through serious educational games. Information Sciences, 264, 61-74. Lester, J.C., Spires, H.A., Nietfeld, J.L., Minogue, J., Mott, B.W., Lobene, E.V. (2014) Designing Game-based Learning Environments for Elementary Science Education: A Narrative-Centered Learning Perspective. Information Sciences. 264, 4-18. Minogue, J., Madden, L., Bedward, J., Wiebe, E., & Carter, M. (2010). The cross-case analyses of elementary students' engagement in the strands of science proficiency. Journal of Science Teacher Education, 21, 559-587. Minogue, J. Wiebe, E., Madden, L., Bedward, J. & Carter, M. (2010). The intersection of science notebooks, graphics, and inquiry. Science and Children, 48(3), 52-55. Wiebe, E. N., Minogue, J., Jones, M.G., Cowley, J. & Krebs, D. (2009). Haptic feedback and students’ learning about levers: Unraveling the effect of simulated touch. Computers and Education, 53, 667-676. Minogue, J., & Jones, M.G. (2009). Measuring the impact of haptic feedback using the SOLO taxonomy. International Journal of Science Education. 31, 1359-1378. Annetta, L., Minogue, J., Holmes, S., & Cheng, M.T. (2009). Investigating the effect of video games on high school biology students’ learning and engagement. Computers and Education, 53, 74-85. Minogue, J. (2008). Getting a ""feel"" for serious games. In L.A. Annetta (Ed. ), Serious educational games (pps. 73-81). Rotterdam, The Netherlands: Sense Publishing. Jones, M. G., Taylor, A., Minogue, J., Broadwell, B., Wiebe, E., & Carter, G. (2007). Understanding scale: Powers of ten. The Journal of Science Education and Technology, 16 (2), 191-202. Minogue, J. & Jones, M.G. (2006). Haptics in education: Exploring an untapped sensory modality. Review of Educational Research, 76 (3), 317-348. Minogue, J., Jones, M.G., Broadwell, B., & Oppewal, T. (2006). Exploring cells from the inside out: New tools for the classroom. Science Scope, 29, 28-32. Minogue, J., Jones., M.G., Broadwell, B., & Oppewal, T. (2006). The impact of haptic augmentation on middle school students' conceptions of the animal cell. Virtual Reality, 10, 293-305. Jones, M.G., Minogue, J., Oppewal, T, Cook, M. & Broadwell, B. (2006). Visualizing without vision at the microscale: Students' with visual impairment explore cells with touch. The Journal of Science Education and Technology, 15, 345-351. Jones, M.G., Minogue, J., Tretter, T., Negishi, A. & Taylor, R. (2006). Haptic augmentation of science instruction: Does touch matter? Science Education, 90, 111-123. Tretter, T. R., Jones, M. G., Andre, T., Negishi, A., & Minogue, J. (2006). Conceptual boundaries and distances: Students' and adults' concepts of the scale of scientific phenomena. Journal of Research in Science Teaching, 43 (3), 282-319. Tretter, T.R., Jones, M.G., & Minogue, J. (2006). Accuracy of scale conceptions in science: Mental orders of spatial magnitude. Journal of Research in Science Teaching, 43 (10), 345-351. Jones, M.G., Broadwell, B., Falvo, M., Minogue, J., & Oppewal, T. (2005). It's a small world after all. Science and Children, 43, 44-46.